This year’s Yellow-shouldered Parrot breeding season has begun on the Caribbean island of Margarita, where fledgling chicks must soon face the threat of poachers. 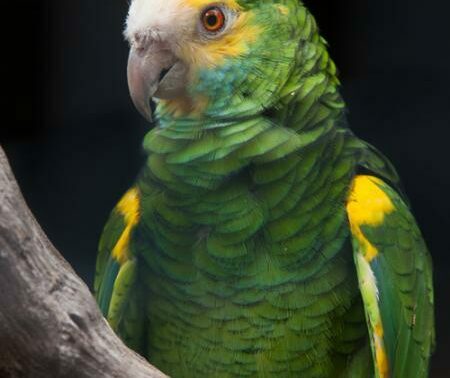 The illegal collection of the parrot chicks for the pet trade is jeopardising the survival of the Yellow-shouldered Parrot, an Endangered species on Margarita Island. WLT has been supporting conservation projects on the island with our partner Asociación Civil Provita since 2008 and in March we launched an urgent appeal to tackle this escalating crisis. Three months into the Margarita Island Parrot Appeal and thanks to generous donations we have already raised over £7,326, but we need to reach our target of £10,000 by the end of August to help support the continued survival of this species. All donations to this appeal are doubled, meaning your support is twice as effective as every donation is being matched pound for pound. Crucially, you will enable Provita to train more local people as reserve rangers to increase the continued protection of the parrots, as well as raise environmental awareness within the island community and provide alternative income and secure jobs. 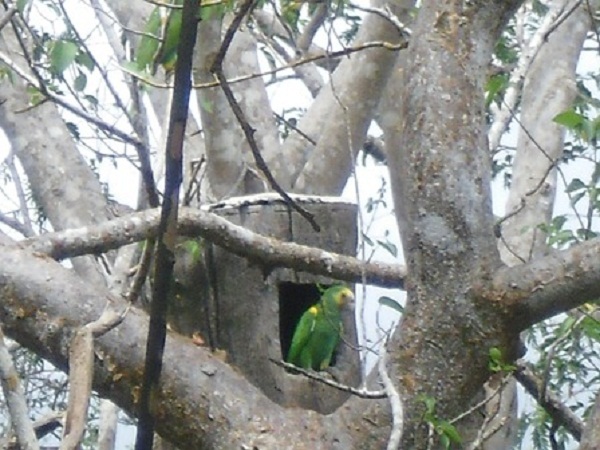 Reserve ranger, Pablo Antonio Millán, is supported through WLT’s Keepers of the Wild programme; he was the first local guide that Provita hired to conduct the Yellow-shouldered Parrot population monitoring and management. Pablo is among seven rangers, working day and night, to monitor and protect the nests this breeding season – but more man power is desperately needed to secure the future of wild populations of this species. 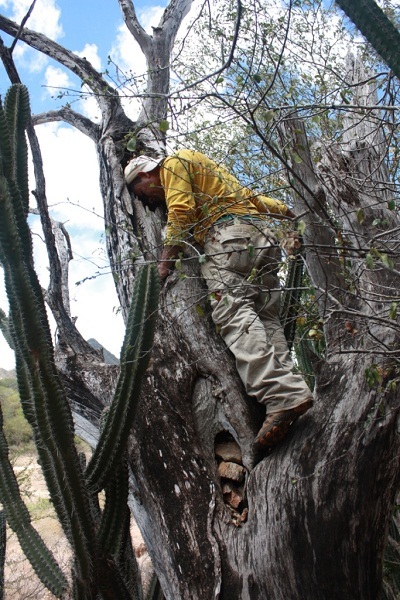 Pablo has been working as a parabiologist with Provita for over 20 years; parabiology is the training of local people in scientific survey methods, particularly for conservation efforts to protect endangered habitats by collecting information and reporting conservation threats. 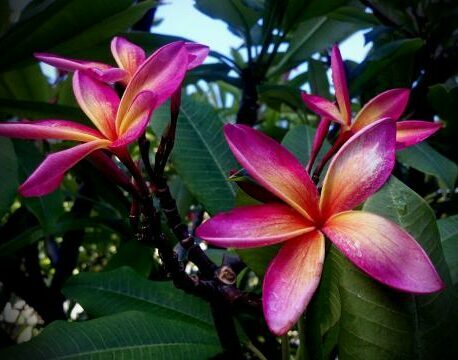 Pablo’s knowledge of natural history is extensive and covers most plant and animal species in the region. Before joining Provita, Pablo was a wildlife poacher but explains that he only did it because he wanted to protect animals in his own way. Since, he has changed his views and has gained a better understanding of wildlife protection and conservation. 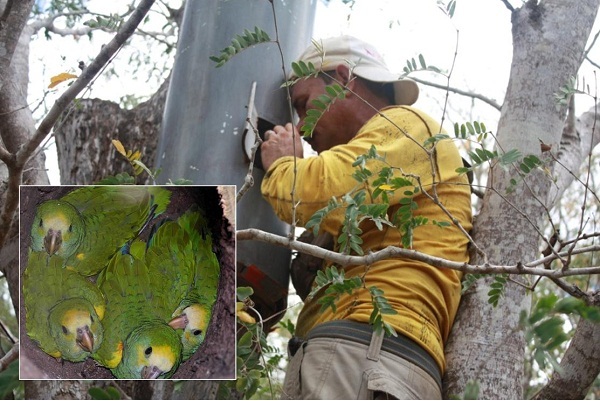 In March, the ranger team set about repairing the nests that the parrots have been using for many years and soon they saw the first couples reaching the nesting sites. Slowly, each parrot couple chose a nest and started fixing the cavities themselves, by bringing small pieces of bark to make a bed on the bottom so the eggs can be laid and incubated. On May 1, the rangers checked all the main nesting sites on the island and were alarmed to find that 40 per cent of the nests had already been visited by poachers. This represents a very aggressive and early attack, since most of the nests still have incubating eggs and any hatched chicks would have been only one or two days old. Addressing this very urgent threat, the rangers are making an even greater effort to protect the nests and eggs. The result is that 39 chicks are developing well and there is still time for the parrots to lay more eggs. The seven rangers, who work day and night to monitor and protect the nests, are also being supported by the local police. Provita are negotiating for more official support from the Ministry of the Environment, National Guard and a new central police body, called DIBISE. Hopefully, these combined efforts will also lead to the recovery of some of the chicks that have already been poached, as they can still join foster nests to continue growing before flying free into Provita’s protected nature reserve. 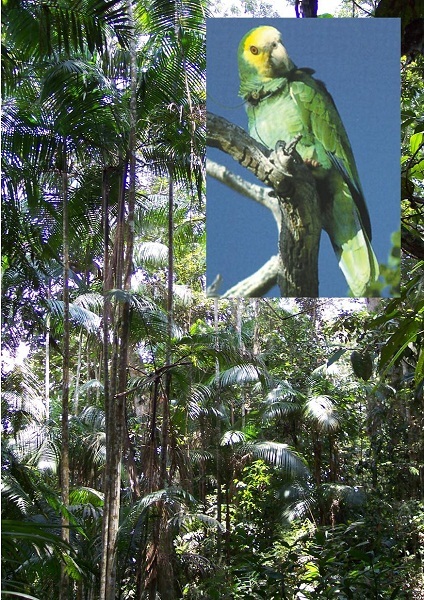 Planting trees to improve the forest habitat for the parrot’s feeding, breeding and nesting. 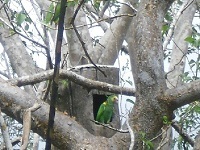 With your help, we can secure the future of Margarita Island’s wild population of Endangered Yellow-shouldered Parrot.